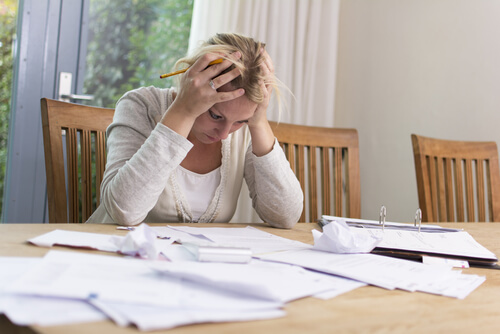 If Your Business is Eligible to File Bankruptcy, Should It Do So? Even though it’s illegal for creditors to try to collect on a debt that’s been discharged (legally written off) in bankruptcy, once in a while they do try. What makes chasing a discharged debt illegal? And what penalties can get awarded to you if a creditor breaks the law? In my blog a couple days ago I wrote about Capital One Bank illegally filing documents in 15,500 bankruptcy cases demanding payment on debts which had already been written off in prior bankruptcies. This extensive pattern of bad behavior was discovered when the U.S. Trustee in Massachusetts learned about one case in which the Bank was trying to get payment from a couple whose $5,500 debt had been discharged in a bankruptcy 14 years earlier. The U. S. Trustee (an office of the U.S. Department of Justice which acts to protect “the integrity of the bankruptcy system”) came to realize that this was not an isolated event for Capital One, and sued the bank because of all of its illegal filings. Nobody—including Capital One–knew how many cases all over the country it had filed claims for money it was not owed. So as part of the settlement of that lawsuit, the bankruptcy court required Capital One “to hire an independent auditor, chosen by the court and paid for by Capital One” to do an audit of about 2.2 million claims that it had filed in bankruptcy cases from the beginning of 2005 through 2010. It is from this audit that Capital One’s 15,500 illegal filings were uncovered. While the Bankruptcy Code makes it perfectly clear that trying to collect on discharged debt is illegal, it does not clearly say what, if anything, the penalties are for a creditor caught doing so. Section 524(a)(2) of the Code says a discharge of debts in a bankruptcy “operates as an injunction against” any acts to collect debts included in that bankruptcy case. But that section of the Code says nothing about what happens if a creditor violates that injunction. Feel free to read the whole section through the link above. Have fun—Section 524 goes on for pages! Well, even though no penalties are specified in Section 524, there is a strong consensus among courts all over the country that bankruptcy courts can penalize creditors for violating the discharge injunction through another section of the Bankruptcy Code, Section 105, titled appropriately enough “Power of Court.” The basic idea is that the injunction against pursuing a discharged debt is a court order, and so a creditor violating it is in contempt of court. So the standard penalties for being in civil contempt of court apply. Depending on the circumstances, the penalties for civil contempt can include “compensatory” damages and “punitive” damages. Compensatory damages are to compensate you for harm you suffered because of the creditor’s violation of the injunction. These potentially include actual damages such as time lost from work or other financial losses, emotional distress caused by the illegal collection, and attorney fees and costs you’ve incurred as a result. Punitive damages are to punish the creditor for its illegal behavior, and so the judge looks at how bad the creditor’s behavior was in determining whether it punitive damages are appropriate and how much to award. The vast majority of the time creditors in a bankruptcy case write the debts off their books and you never hear about those debts again. But, as the Capital One story illustrates, some creditors don’t keep good records or simply aren’t all that vigorous about following the law. So if, after you receive your bankruptcy discharge, you hear from one of your old creditors trying to collect its discharged debt, contact your attorney right away. It’s something that you want to nip in the bud. And if the creditor’s behavior is particularly egregious, you and your attorney may want to discuss whether to strike back at the creditor for violating the law. There might possibly even be some money in it for you.